People usually think that getting refund from amazon is impossible. but you can get refund if you know how to do it. Press Ctrl+F and find "Where's My Stuff?" on main page of account.Next to "View My Order" click on the "Orders Placed in the Last Six Months" then click on "Go". Find the order with which you have problem then click on the "View Order". Click on the "Problem With This Order?". Check details of order. Compare status, dates and delivery estimates. If you have not received order by delivery estimate then click on the "Contact Seller", fill the form to explain your issue and send. Wait for a response. Is you do not recive response in appropariate time than goto Amazon using above steps. Now rather than clicking on the "Contact Seller", this time click on the "File Claim". Indicate that you want a refund, explain reasons for your claim, and provide details. Check off the agreements and confirm that before filing a claim, you have already tried to contact the seller. 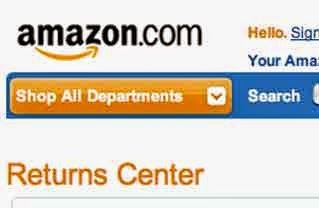 Amazon will investigate and verify the claim and send you response with refund details.